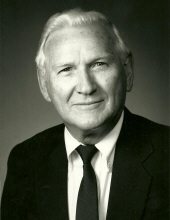 William R. Smeltzer, age 89, passed away on December 19, at his home in Knoxville. Bill was a long time and active member of the Grace Lutheran Church where he worked to create the Blended Worship service. He was also both the President and the Program Chairman for the Seasoned Adults for many years, and developed the idea for the church’s annual celebration and dinner for members having been married for 50 years or more. He was a graduate of Greeneville High School and Fulton Vocational School where he received an Associate Degree in Engineering Drafting. Bill also served in the US Army in Germany during the Korean War, and ended his career having worked for over 30 years with Martin Marietta Energy Systems in Oak Ridge. He was preceded in death by his parents, Charles and Lela Smelcer, his brother Frank Smelcer, and his sisters Lois Lozier, Lucille Pierce, Jean Eggert, and Nancy Easterly. Bill is survived by his wife of 59 years, Anne; children William Charles Smeltzer and his wife Birgit Andersen Smeltzer, Anna Lynn Smeltzer Raymond and her husband Ron Raymond, Alan Trent Smeltzer and his wife Deana Quinton Smeltzer; grandchildren Sarah Smeltzer, Bill Smeltzer, Jillianne Smeltzer, Matthew Raymond, Samantha Raymond; great granddaughter Delilah Smeltzer; several nieces and nephews; and many lifelong friends. The family wishes to thank Professional Case Management and the UT Medical Center Hospice Services for the excellent care Bill received during his illness. The family will receive friends 2-3pm Sunday at Grace Lutheran Church with a service to follow at 3pm. Burial will be Wednesday, at 1pm at Oak Grove Cemetery in Greeneville. In lieu of flowers, memorials may be made to the Grace Lutheran Church Endowment Fund. To send flowers or a remembrance gift to the family of William R. "Bill" Smeltzer, please visit our Tribute Store. "Email Address" would like to share the life celebration of William R. "Bill" Smeltzer. Click on the "link" to go to share a favorite memory or leave a condolence message for the family.